By the way, Micheal is correct about Dragon Dictate. Nuance has abandoned the program. I still use Dragon Dictate, and only a few features don’t work. When I upgrade to Mojave, Dragon Dictate will probably no longer work. At this point, Apple’s voice-to-text dictation program is still underdeveloped. However, its dictation program is a good option. I knew that the macOS Dictation feature ran Automator workflows, so I opened Automator and pasted the script in the Run Script action. Alas, when I ran the script, it came back with error message that said, Automator “is not allowed assistive access.” WTF! Automator, a native macOS program, is not allowed assistive access? Has Apple abandoned the program that much? Note: at the end of this article, there’s a summary all the steps for all the instructions. Since Keyboard Maestro is a hundred times better than Automator, I knew it would be able to run the script, so I created a workflow using the Execute an AppleScript action. 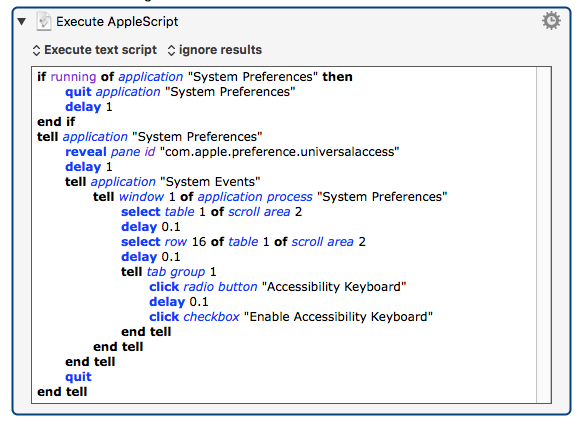 Keyboard Maestro ran the script just fine and opened the Accessibility Keyboard. Now I just needed the Dictation Command to run the KM script. 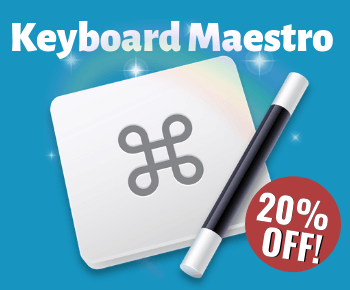 Keyboard Maestro includes several ways to trigger an action, including an AppleScript script. For each KM macro an AppleScript script is created for the macro. You simply select it in the Trigger area of the macro editor. So basically, I’m using a script to trigger the macro that triggers the AppleScript script. Hope that makes sense. Now, to confuse you just a little more, I copied the script for the macro and inserted it in the Automator action, and I saved that action as an Automator Workflow, to be attached to the macOS dictation command. Now we just need to create a Dictation Command, which is pretty easy. 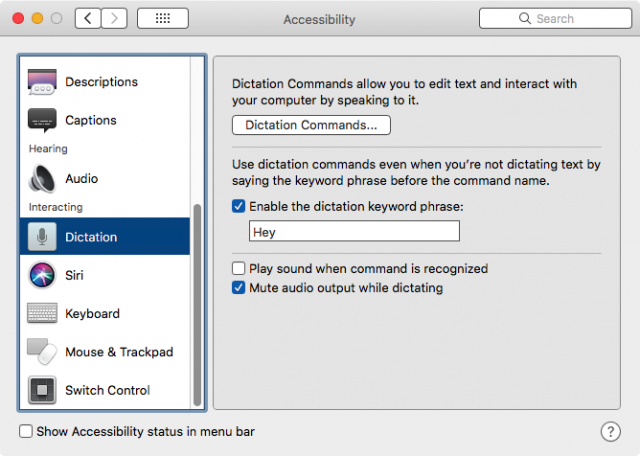 You will need to enable Keyboard > Dictation in System Preferences in order to use the Dictation Commands. 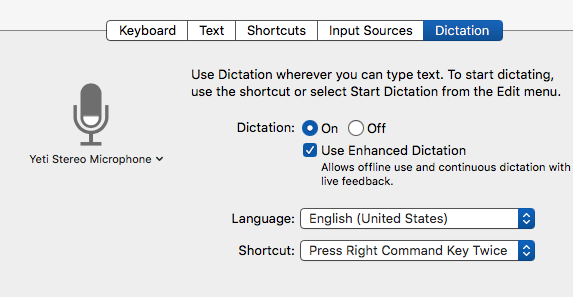 In Dictation, click on the Dictation Commands…button and click the + button to create a new dictation command. 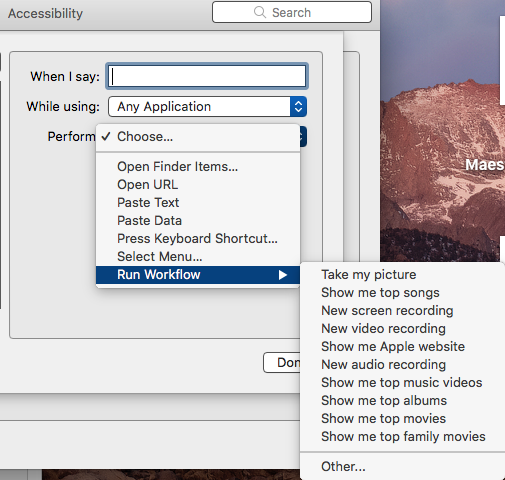 Set up the command to run “While using > Application,” and then where it says, “Perform,” choose “Other” and attach the saved Automator workflow. 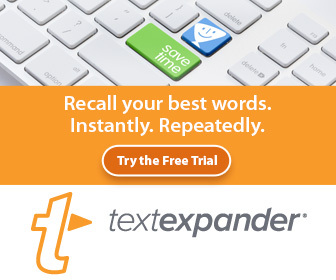 Where it says, “When I say:,” type the words you will use to trigger the command. Now the dictation command is created, all you need to do is run it by issuing the voice command. 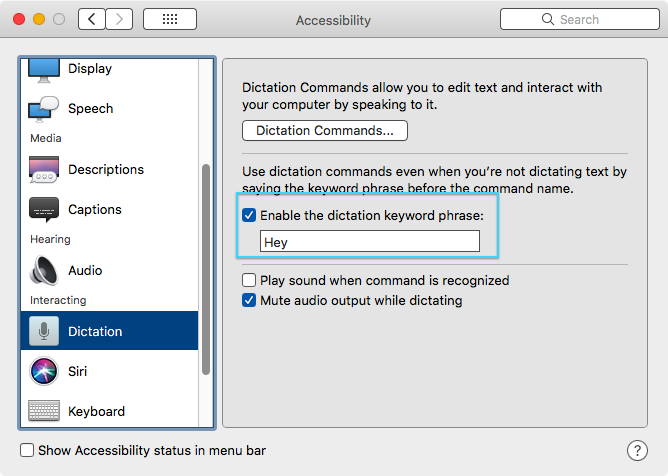 You can actually leave Dictation Command running on your Mac, and it will only activate after you say your assigned keyword phrase. 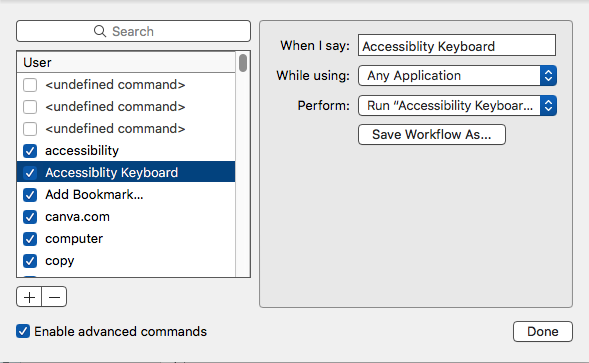 Create a new Keyboard Maestro macro, and paste the script into the KM Execute AppleScript action. Give the action a name, and copy the AppleScript trigger script. 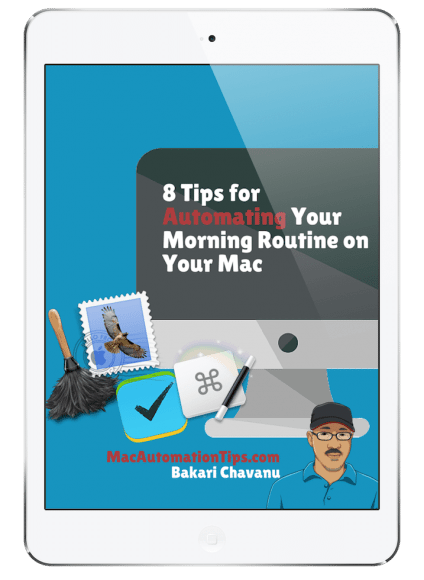 Paste the macro script into a new Automator workflow and save it as a workflow, not an application. 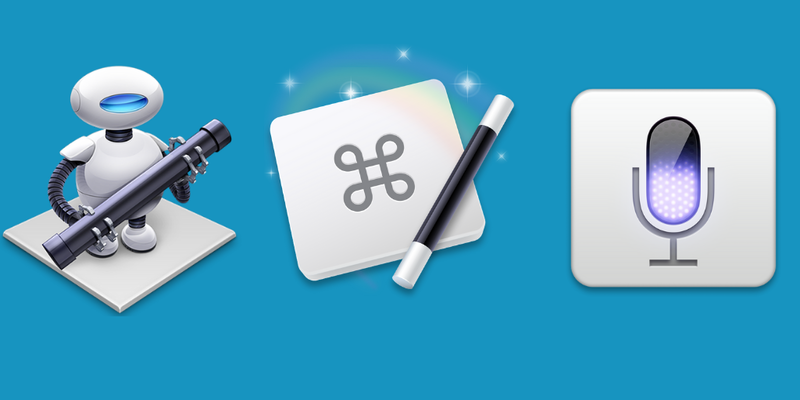 Test the workflow by issuing the command with the Apple Dictation feature enabled. 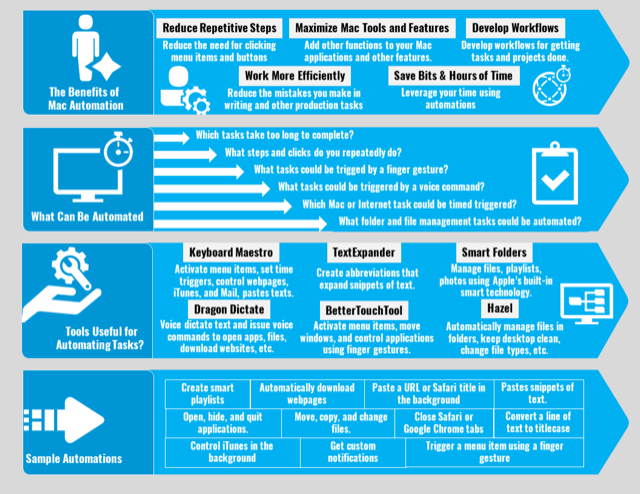 I hope the above workflow makes sense. It does require several steps, but once it’s created, it will save several clicks and mouse movements to open the Accessibility Keyboard. Let me know what questions you have about the workflow and how you might use something similar in your own dictation command workflows. If you have an automation question, use this form to ask it. Hmm, I don’t use Reminders, but I thought Reminders sends a notification of the reminders put into it? KM does have a cron trigger that triggers based on the date and time you set. It also a daily and weekly time and day trigger that will send you notification. But it sounds like you want to KM to interrogate with Reminder, is that correct? Thanks so much for your reply! I just want to be able to automate this: “Tell me to stop working in 45 minutes.” I usually use Siri to create a Reminder, but I’d prefer a key stroke. Your comment makes me think that I can skip Reminders altogether and just use Keyboard Maestro…. Interesting! !